Many workers in Minnesota are not aware that a workplace injury is not always the result of a specific on-the-job accident. There are many injuries that develop over time due to repetitive motion. Repetitive motion can cause a particular ligament, joint, or muscle to become overused over a long time period. “Gillette injuries” get their name from the Minnesota Supreme Court case Gillete v. Harold, Inc. The case involved a woman who sued Harold Department Stores, her employer, over a foot injury that she had developed over many years of standing on her feet during her shifts. 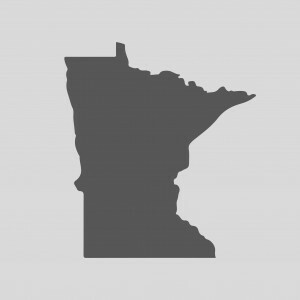 Minnesota defines a Gillette injury as a personal injury that results out of the course of employment as a result of repetitive minute trauma (cumulative effect) over time. These injuries can become very painful and debilitating, causing a person to possibly not be able to work again or work in a career that requires use of that part of the body. Because this is an injury that qualifies for workers’ compensation, it is important to speak with a Minnesota workers’ compensation attorney to see what steps you can take toward getting the compensation you deserve for these injuries. There are some rather common types of repetitive stress injuries. Carpal Tunnel Syndrome is one. This is an injury that is the result of repetitive motion of the hands and fingers. This causes swollen tendons in the forearm that places pressure on the median nerve. The rotator cuff injury is another common injury. The rotator cuff is made up of a number of tendons and muscles that are responsible for stabilizing the shoulder when the arm is being moved. A tear in any of these tendons or muscle can result in severe disability. Sudden lifting, stretching, or a sudden movement can result in damage to any component of the rotator cuff area. Your Minnesota workers’ comp lawyer will be able to review your case and determine what steps should be taken to help you get the compensation that you deserve so you can recover. Gillette injuries are the repetitive injuries that can be acquired while on the job. Some jobs require you to do the same motions again and again and this can put a strain on the body. If you are suffering from a Gillette injury, such as Carpal Tunnel Syndrome, then you may qualify for workers’ comp benefits. To find out if you do, call Teplinsky Law Group at 612-465-0320 for a free no obligation consultation.